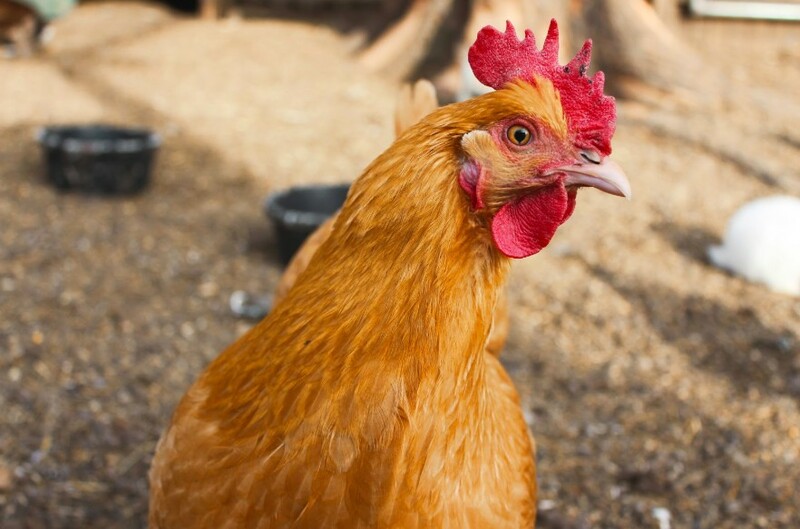 Did you know that more than 1 percent of households in the United States keep chickens as pets? 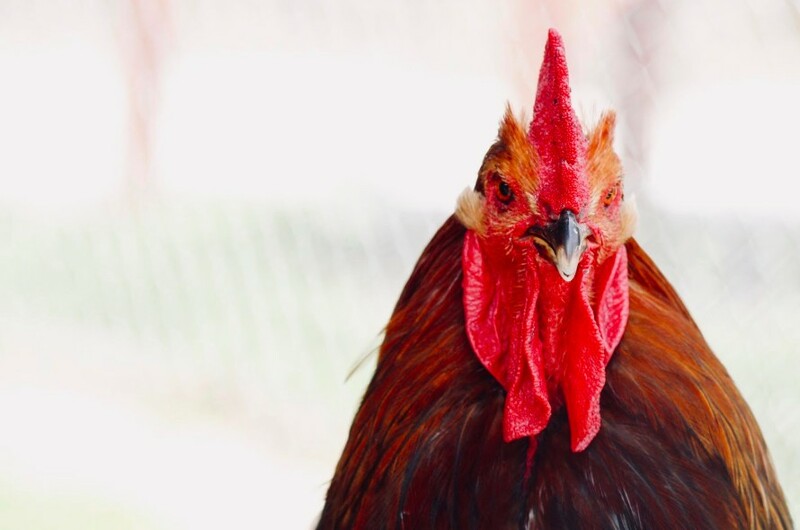 Backyard flocks are becoming increasingly popular, with some calling chickens “the new dog.” Those facts make industrial poultry farming all the more revolting. People sometimes raise chickens themselves because they want access to fresh eggs. Over time, however, they bond with these animals, give them names, and interact with them like they would any other pet. If you’re familiar with poultry farming, however, you know that billions of chickens are denied such healthy relationships. Whether they’re raised to lay eggs or for their meat, chickens in factory farming operations suffer needless cruelty and death. You might not be familiar with the poultry farming industry, but this guide will take you deep into the bowels of operations that treat chickens as nothing more than commodities. PETA calls chickens “the most abused animals on the planet.” Not only are they the most-killed animals for the purposes of feeding humans, but more chickens are killed for food every year than all other land animals put together. Poultry farming disrupts the family unit among chickens, denies these animals their needs for social interactions and good nutrition, and otherwise forces them into cruel conditions until they’re inhumanely slaughtered. This is all because people can’t get enough eggs, fried chicken, baked chicken, chicken casserole, and chicken salad. If we all gave up those foods and replaced them with plant-based substitutes, these chickens wouldn’t have to face the cruel realities of poultry farming. Poultry farming refers specifically to the breeding, raising, and slaughtering of chickens to collect their eggs or harvest their meat. 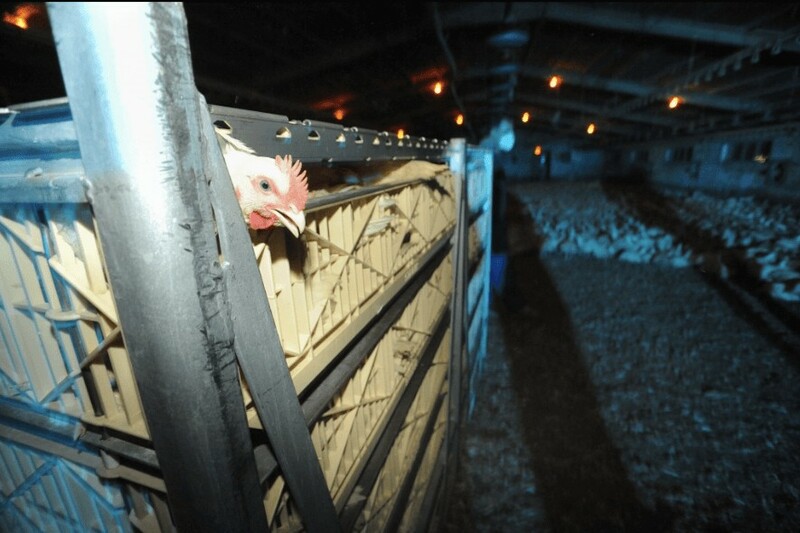 Even layer hens — the chickens used for the egg industry — face impossibly uncomfortable conditions and an early death. In the poultry farming industry, disease runs rampant and chickens are regularly abused. Just recently, animal rights group Compassion Over Killing sent a member undercover at a Maryland poultry farming operation. The employee caught raw, graphic footage of employees intentionally abusing chickens. Also called chicken farms, poultry farms are designed for maximum efficiency. As you’ll learn later in this article, the speed with which these operations “process” chickens often results in extremely painful deaths for the birds. Worse, the Washington Post reports that the allowed “processing” speed might increase from 140 to 175 chickens per minute. In poultry farming, layer hens are the female chickens who spend their entire lives laying eggs for commercial purposes. The operation collects the eggs and packages them for supermarkets and restaurants all over the world. Many people believe that layer hens aren’t treated poorly because they’re not killed for meat. The reality, though, is that they’re given no more room or mercy than the animals raised for meat. They aren’t allowed to nest, for instance, or to care for their young. 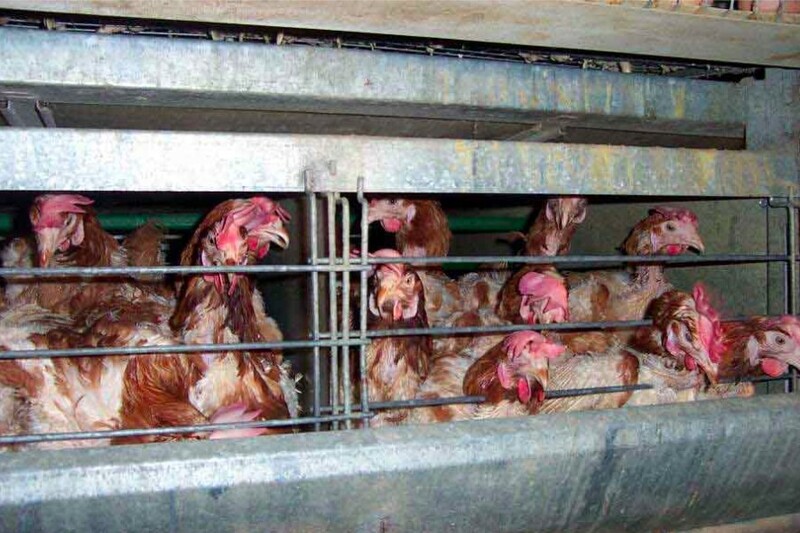 Layer hens are often housed in extremely cramped conditions with no access to sunlight. Furthermore, they’re bred specifically for laying speed — increasing egg production per hen. Since they’re not biologically designed to lay that many eggs, they suffer painful health problems as a result. Broiler chickens are chickens raised for meat. They’re part of the poultry farming operation that allows eggs to be fertilized to increase production. However, the chicks who come out of these eggs aren’t raised by their mothers but instead incubated before being hatched and moved to mass housing. Chickens, when allowed to live out their natural lives, can reach 15 years of age or more. Broiler chickens are typically slaughtered at 42 days of age. This is because they’re bred to mature more quickly than is natural, which means that they often suffer from serious health problems during their short lives. The sad thing is that, in poultry farming operations, chickens are born for the specific purpose of dying young. They often don’t get to experience fresh air, good nutrition, bonds with other chickens, veterinary care, or even the slightest kindness from a human being. When we raise animals for the sole purpose of killing them later, we disrupt the ecosystem and deny animals their rights. Vegans and vegetarians work hard to reduce animal consumption, but there are plenty of meat eaters who don’t think about poultry farming when setting the dinner table. Consequently, poultry farms continue to generate huge profits. Hens, like many female animals, are designed to nourish and care for their young. They often help their chicks hatch, then begin teaching them how to be chickens. They help them gather food and protect them from predators. None of these natural bonding experiences happen on poultry farms. Broiler hens, just like laying hens, have their eggs snatched from them immediately. The eggs are then incubated under UV light and are left to hatch on their own. Earlier, we talked about chickens as commodities. That’s all they are to the poultry farming industry. Factory farmers don’t think of chickens as any more sentient than the components that make up an iPhone or a piece of furniture. In other words, poultry farming is no different from the assembly line at any manufacturing plant. The animals are transported based on efficiency and cost rather than comfort, and if a few of them die along the way — well, there are sure to be a few defective parts on an assembly line, right? If you’ve ever wondered what a factory farm chicken’s life looks like, it’s brutal. These animals aren’t treated as sentient beings, but as means to an end. They’re born, raised, and killed for the sole purpose of serving human beings’ diets. Chickens lay eggs for the purposes of giving birth to healthy chicks. 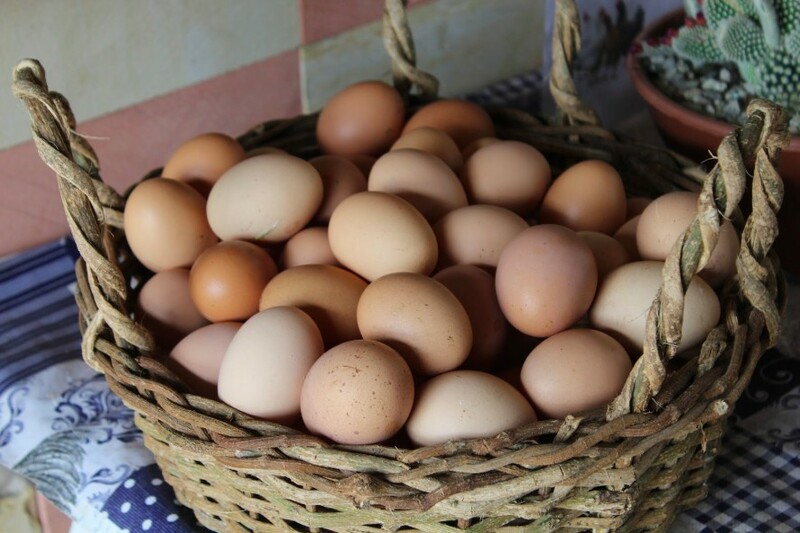 When we steal eggs from chickens, we deny them the opportunity to naturally propagate their species. Worse, we hasten the breeding of chickens for human consumption, consuming resources like grain in staggering quantities. Chickens are social creatures. If you watch them in the wild or on non-killing farms, you’ll notice that they roam and roost together. These natural tendencies toward camaraderie are essential for their survival as well as their emotional health. When they flock together, they stand a better chance of protecting themselves from predators. Chickens can also develop positive relationships with human beings. Backyard coops allow chickens to roam free, enjoy the sunlight, get adequate food, and relate to one another naturally. This isn’t the case on poultry farms. Chickens are not given the chance to form family units because eggs are stripped from hens the moment they’re dropped. This perversion of nature leaves hens distraught and confused, which can cause severe health problems. All animals have instinctive behaviors that serve very specific purposes. 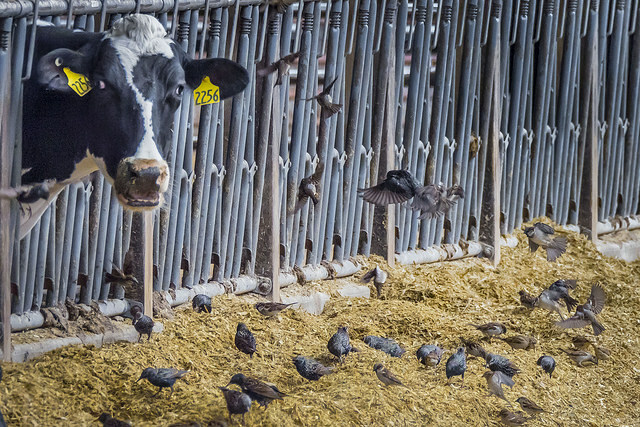 Many birds, including chickens, give themselves dust baths. They move around in dry dirt, dust, or sand to remove contaminants, such as parasites, from their feathers and skin. Dust baths are also a chicken’s natural way of marking their territory. They leave pheromones behind to tell other chickens where they’ve been. Poultry farming doesn’t allow chickens to engage in dust baths. They’re unable to clean themselves, which means that they can suffer infections of the skin and feathers as well as immeasurable frustration. Poultry farming operations typically house chickens in huge barns or warehouses with no access to sunlight. Sun is essential for helping chickens regulate their body temperature, produce vitamin D, and get fresh air. Imagine living your entire life in a basement. The air is close, the darkness pervasive. You have no way out and no control over your environment. That’s the precise fate poultry farming inflicts on chickens. All animals need fresh air to thrive. Indoor air, whether in a home or barn, is not nearly as healthy. As much as we talk about pollution, even the standard human home sometimes contains more pollutants than the air outdoors. This is worsened in factory farming operations because of the extreme volume of feces and urine that accumulates. Chickens naturally nest so they can keep their eggs warm until their chicks are ready to hatch. Not only do chickens on poultry farms lack the room to nest, but they don’t have access to the materials with which to build a nest, such as hay. In some ways, the living standards of layer hens differ from those of broiler chickens. Let’s take a more in-depth look at how these different types of chickens are forced to live out their lives — as short as they may be. Layer hens, as mentioned above, serve one purpose: Laying eggs. Poultry farmers don’t care about much other than increasing production and making sure they can meet the quotas necessary to serve their customers. Most layer hens live their lives in wire battery cages. These cages give the animals very little room and force them to reside next to and even on top of one another. They can’t clean themselves or turn around comfortably. Just like every other animal, chickens need exercise. Poultry farming denies them this basic animal right. They don’t get to stretch their legs, peck the ground, or participate in any other behaviors to which chickens instinctively gravitate. To cram more chickens into small spaces, poultry farms use vertical battery cages. The wire bottoms don’t give layer hens a comfortable place to roost or stand. Furthermore, there’s no way for the animals to escape in the event of a fire or other disaster. Since battery cages have wire bottoms, feces fall from the top cages into the bottom cages. This is particularly harmful for the layer hens on the bottom of the stack, but feces and urine can also get caught in the feathers of the chickens directly below. Bacteria grows and causes disease. There’s no reason for poultry farming operations to keep male chicks in a layer hen operation. Since males can’t lay eggs, they’re slaughtered immediately after birth. They aren’t suitable as broiler hens because they haven’t been genetically selected for meat harvesting. The wholesale destruction of millions of male chicks often involves gassing, boiling, or even grinding. These animals aren’t granted a humane death, and their birth becomes entirely useless. Many poultry farming operations use lighting manipulation to encourage laying hens to produce more eggs even when they would naturally not do so. By manipulating light in the battery cages, the chickens are “tricked” into thinking that it’s laying season even when it’s not. Instead of just laying eggs in spring and summer, these chickens will continue to lay in autumn and winter, as well, which stresses their bodies. In a practice known as forced molting, laying hens must survive on a starvation diet. The goal is to force all hens in a poultry farming operation to molt at the same time so they can return their energies to laying eggs. Chickens usually reserve winter for molting. They divert the energies they would use for laying eggs toward growing fresh plumage and staying warm. The agricultural industry manipulates this natural process for monetary gain. Many animals in the United States undergo forced molting up to four times in their lifespan. Chickens aren’t designed to lay egg after egg. They have a natural cycle, just like every other creature on the planet, but poultry farmers manipulate it to suit their needs — and more specifically, their pocketbooks. They’re forced to lay far more eggs than they would naturally through selective breeding, hormone injections, and other means. They develop severe diseases of the reproductive system as a result, most of which go untreated. As any human woman knows, the process of gestating and birthing a baby is extremely hard on the body. The same is true of other animals, including chickens. These laying hens often die in just a few years due to sheer exhaustion because their bodies can’t keep up with the demands placed on them. 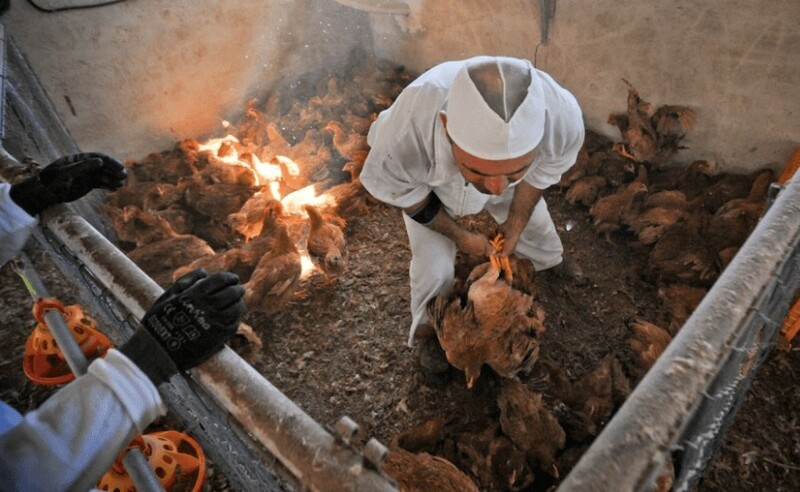 Broiler hens undergo similar living standards to laying hens in a poultry farming operation. However, there are a few specific differences. Broiler hens don’t live long because a long lifespan impacts poultry farmers’ profits. 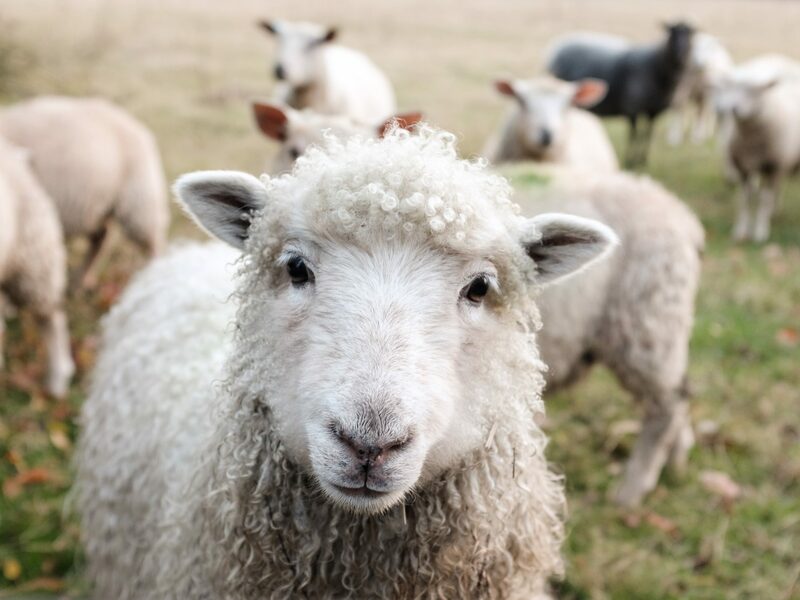 They’re bred to reach maturity in a matter of days rather than months, so they’re often slaughtered before they reach two months of age. When poultry farming operations can birth and slaughter animals in such tight cycles, they make more money. Unfortunately, this means that the animals grow too quickly for their bodies to handle, resulting in numerous health problems even in their short lifespans. Broiler hens are housed in overcrowded sheds with little or no concern for their physical well-being. They’re crammed in with their brethren, sometimes living on top of one another in pens littered with feces. There’s no way to advance the aging process in chickens without manipulating their natural growth cycles. Through genetic mutations, hormone injections, and other “therapies,” these animals reach puberty far earlier than nature intended. However, their bodies aren’t designed to support their advanced weight. The extra weight that broiler hens put on at a very young age stresses their bones and joints. Many go lame before they’re slaughtered, and some develop deformities of the legs. They end their short lives in extreme pain with no veterinary care because, again, their only purpose is to provide meat. Bones and joints aren’t the only body systems to suffer from premature weight gain. The extra pressure put on these chickens’ hearts often results in death before they’re even slaughtered. The heart simply can’t keep up with the need to supply blood to the excess muscle and fat. Other organs, such as the lungs and pituitary systems, suffer as well. Animals aren’t meant to grow at an accelerated weight, but poultry farming operations don’t care if they’re raising diseased chickens. The tremendous stress placed on broiler hens is unconscionable, especially when viewed through the lens of millions of animals. They’re constantly denied sunlight, fresh air, proper socialization, and access to good nutrition. In stressful situations, animals become irritable. Survival instincts kick in, and they’re liable to fight one another in an effort to preserve resources like space and food. Chicken fights in poultry farming operations are extremely common, resulting in severe injuries to all the animals involved. In an effort to curb chicken fighting, poultry farms often debeak these animals. In other words, they cut off their beaks, disfiguring them and denying them the means with which to protect themselves. 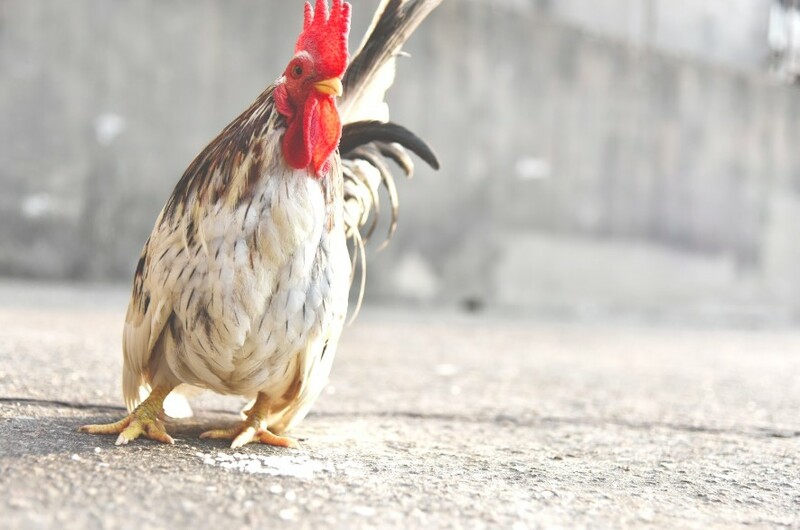 Chickens that have been debeaked can’t eat properly, which leads to digestive issues. Feces aren’t often cleaned from the sheds and pens in a poultry farming operation, which means that these chickens live in their own filth. The bacteria that grows from feces infects the chickens and results in diseased meat. The chickens must also secrete urine in their pens, which is left to stagnate instead of cleaned up. The ammonia from urine can cause burned eyes, ears, and nasal passages as well as throat discomfort. Salmonella is one of the most dangerous bacteriums as is spread through feces. Human beings contract it from infected food and water sources, including broiler chickens. When chickens contract salmonella prior to being slaughtered, the disease can get passed to the human consumer. Symptoms of salmonella poisoning include digestive discomfort, nausea, vomiting, diarrhea, and fever. When broiler chickens reach physical maturity, they’re transported from the poultry farming operation to their slaughter. This entire process results in more stress for the chickens as well as an often painful death. Broiler chickens go from the farm to the slaughterhouse in packed trucks with little ventilation. They’re often shuttled from the truck in vacuum tubes that terrify and often injure the animals. 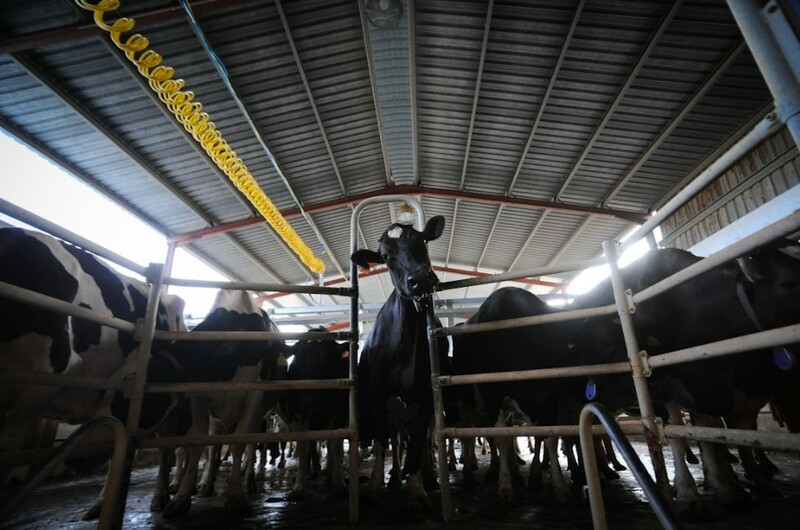 Once they reach the slaughterhouse, they face one of several inhumane deaths. Instead of giving these animals a quiet, peaceful passing, they’re slaughtered in the most efficient, cost-effective way possible. In other words, they’re treated as commodities rather than living, breathing creatures. In many slaughterhouses, the chickens are shackled by the legs and suspended by a bar or grate. This allows them to have their throats cut more efficiently and to speed up the bloodletting process. Some slaughterhouses use electrified water to kill broiler chickens. The animals are immersed in this water until they die, then de-feathered and otherwise processed for meat. Perhaps the most “humane” death for chickens is the throat cutting. It’s faster than some of the other methods, but it’s also painful. Additionally, there’s typically no effort given to ensuring each cut is mortal. Some chickens survive throat cutting, however, briefly, which prolongs their suffering. The chickens who survive throat cutting are scalded to death in boiling water. When they get poured into these scalding baths, the animals whose skin turns pink were alive when they went in because they had a physical reaction to the water. The boiling water loosens the chickens’ feathers so they can be plucked bare in a matter of seconds. This, again, is a cost-cutting methodology that benefits the poultry farming industry but not the animals. 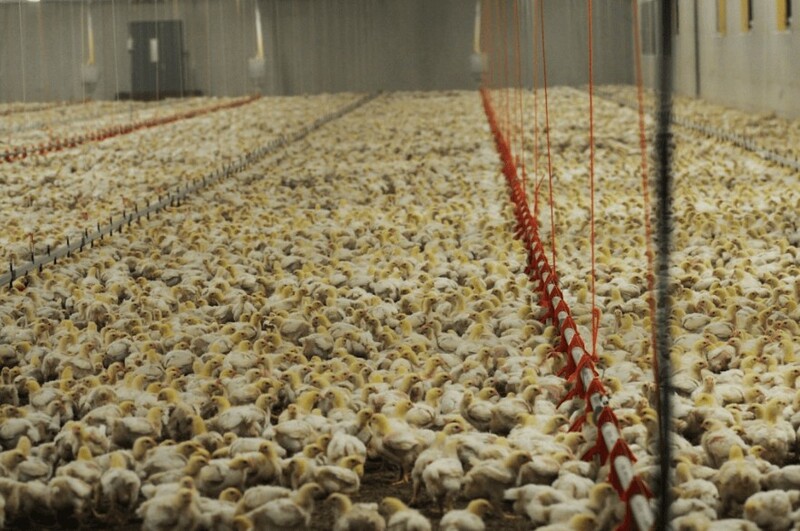 If you’re horrified by the idea of poultry farming, you’re not alone. The suffering these animals endure is enough to turn anyone’s stomach, but there are ways to fight against it. Vegetarians have their hearts in the right place, but consuming animal by-products like eggs also contributes to animal suffering. As described above, laying hens in poultry farming operations aren’t treated with any more kindness or dignity than broiler hens. Vegans don’t consume or use animal products of any kind. If you become vegan, you send a message with your dollars and your values that you won’t support poultry farming in any way. The money you don’t spend on animal products could be used to help fight chicken abuse. Animal rights activists are tirelessly fighting to end animal abuse of all kinds, including the abuses that take place on poultry farms. Donating your money and/or time can make a huge difference in furtherance of these causes. You can also get actively involved in fighting animal abuse. Start or join an organization that investigates poultry farms, exposes the industry for what it is, and lobbies for stronger laws against animal abuse. We report on all animal matters at Sentient Media, and we want you to know the facts. While reading about poultry farming might be disturbing, education and awareness are the only paths toward ending the suffering of millions of animals. From dairy cows to layer hens, animals need us to fight for their basic rights. They can’t stand up for themselves or end this vicious cycle, so we have to step in and make our opinions known. Join us by signing up for our newsletter, checking in with our blog, and speaking out about poultry farming at every opportunity. Just sharing this blog post on social media can raise more awareness and contribute to the end of poultry farming. Are you considering a vegan diet? What’s your biggest struggle?